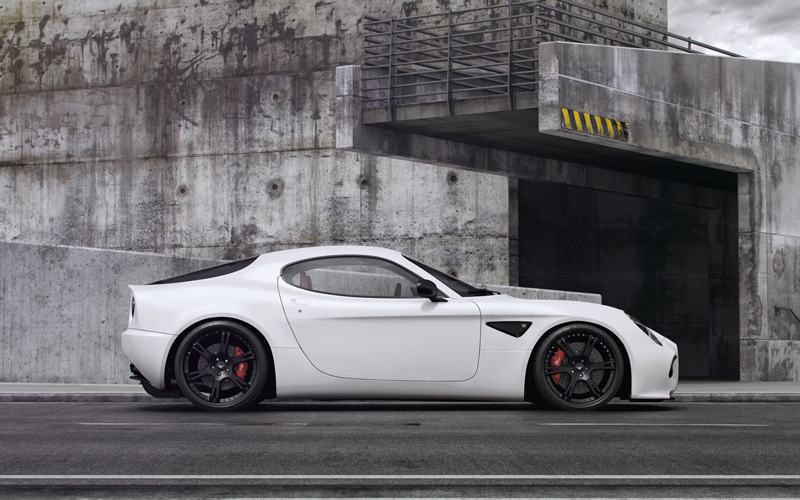 The tuning specialists at wheelsandmore have focused their latest efforts on the Alfa Romeo 8C Competizione Coupe and Spyder models with their new Senza-Chromo upgrade program. While the upgrades are nothing outrageous in terms of bodywork and performance, they add that special touch to ensure that getting behind the wheel will be an unforgettable experience. The new wheelsandmore 8C Coupe/Convertible was given the name “Senza-Cromo (no chrome) because all of the stock chrome bodywork was given a matte black finish. 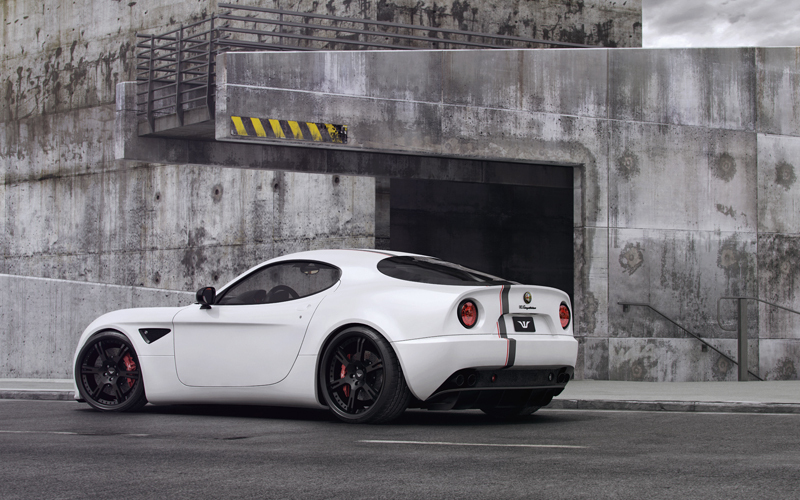 The entire Italian super car was draped in a smooth matte white foil wrap that does not damage the factory paint. The wrap also features a special wheelsandmore red and black stripe that runs the length of the 8C Competizione along the driver’s side of the car. Nothing drastic has changed under the hood of the wheelsandmore 8C, but the exhaust note is sexier than ever. The 4.7-liter V-8 was given and ECU tune and a handcrafted exhaust system with remote-controlled valves that creates an even better exhaust note than the original system. The upgrades elicit an additional 30 horsepower and 30 lb-ft. of torque for a total of 480 horsepower and 380 lb-ft. of torque. 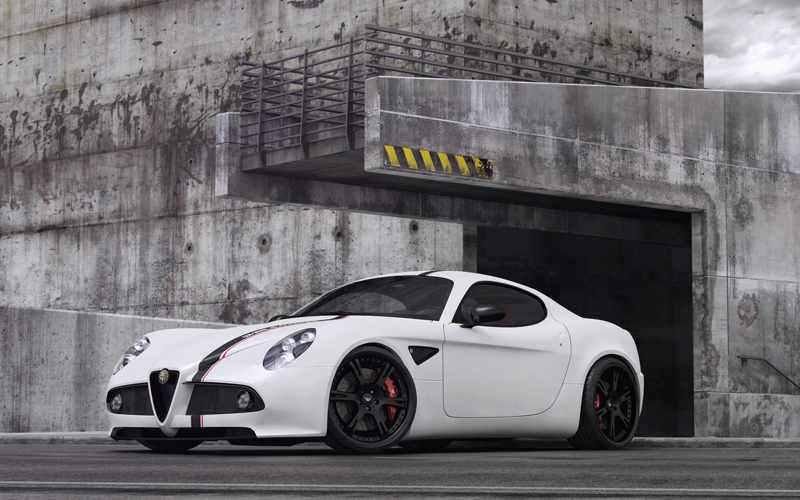 In staying true to their company name, wheelsandmore installed a new set of weight-optimized forged wheels on the Alfa Romeo 8C Competizione Coupe and Convertible. 6Sporz² ultralight three-piece wheels were fitted in a 9.0 x 21 front and 12.5 x 21 rear setup with 245/30/21 and 345/25/21 Hankook S1Evo tires for better grip. In addition to the upgraded fitment, the wheelsandmore 8C was equipped with an adjustable coilover suspension with adjustable compression and rebound. The suspension upgrade comes standard with a five-year warranty and is also available on all vehicles with an OEM Skyhook suspension. 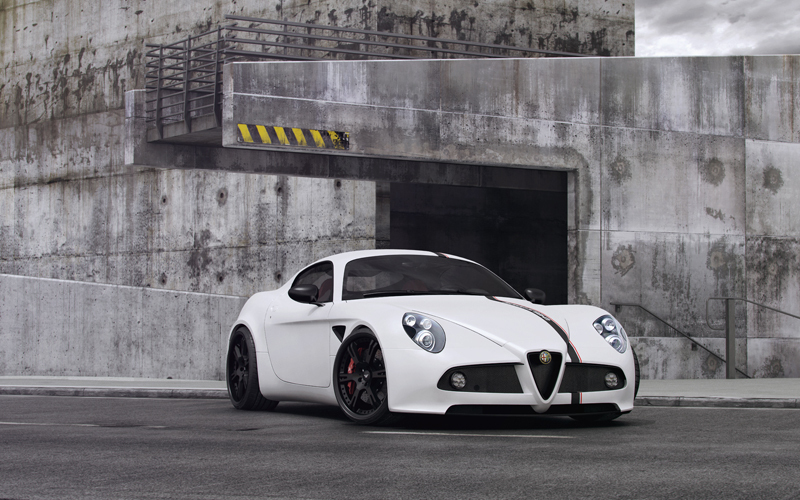 The wheelsandmore 8C Competizione Senza-Cromo is available for both the coupe and convertible variants of the super car. Customers can choose to order individual upgrades or the entire Senza-Cromo program. 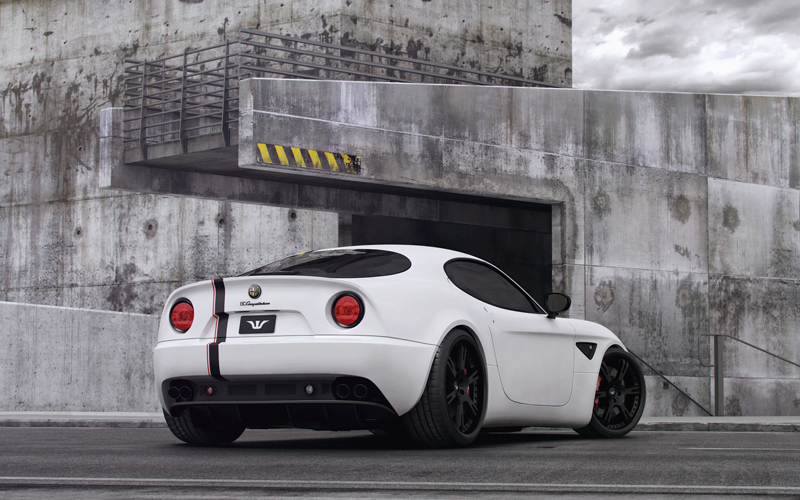 What do you think of the wheelsandmore Alfa Romeo 8C? Leave a comment and let us know!